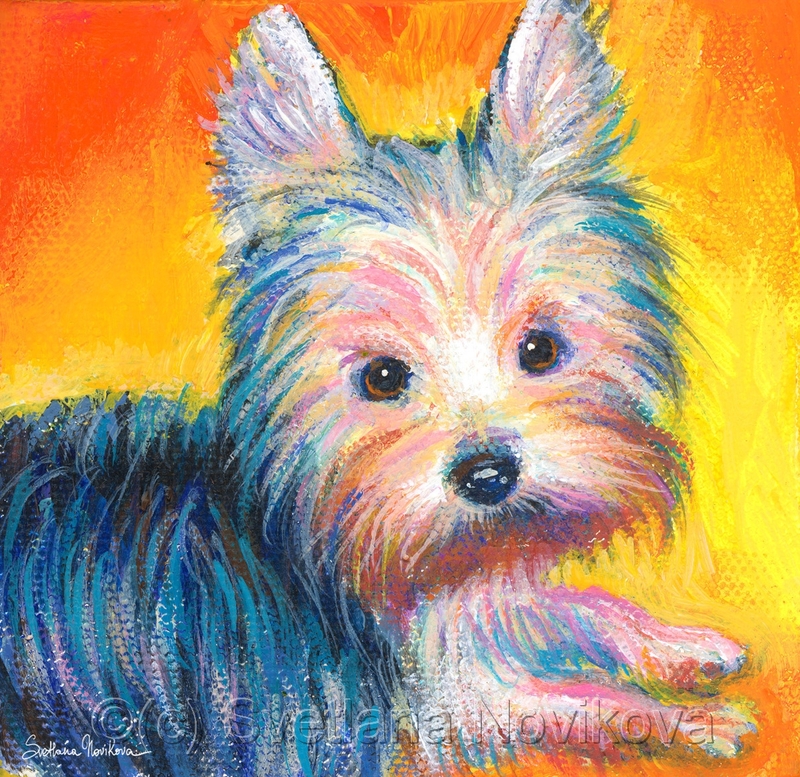 Cute painting of Yorkie puppy by Svetlana Novikova, painted with acrylic on Canvas. © Copyright Svetlana Novikova, all rights reserved. Original is no longer available. I am available for custom portraits, licensing and wholesale. 5" x 5.25"6" x 6.25"7" x 7.25"8" x 8.25"9" x 9.25"